Swiss Legend just released three new collections and THEY ARE EPIC. I’ll start with this incredibly crafted collection. 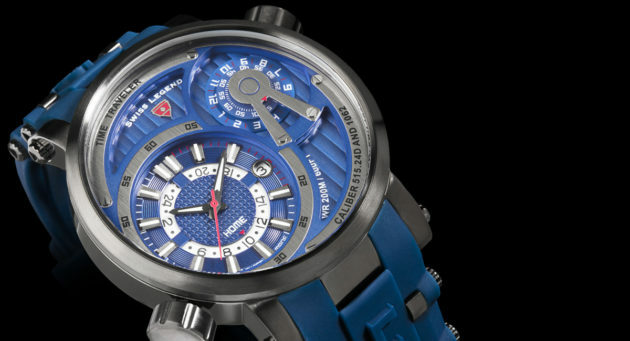 It lives up to its name with dual-time-zone subdials that allow the traveling man to keep time in two places at once. The multi-layered main dial is marked “HOME” with hour, minute and second hands as well as a large date disc. 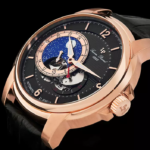 The smaller, rotary-style dial functions as the second time zone with stationary hardware and two rotating discs that display the hour and minutes. 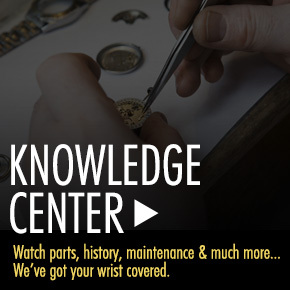 Another unique feature is that each subdial has a corresponding asymmetrical crown (at the 8 o’clock position for the ‘Home’ dial and 2 o’clock position for the ‘Away’ dial), giving the watch a very distinct look. 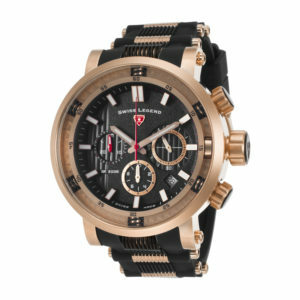 The Swiss Legend Time Traveler Swiss-made GMT men’s watch features the polished 50mm diameter case on a silicone strap with metal bar accents and is water-resistant to 200 meters or 660 feet. It’s comfortable. It’s innovative. It’s the perfect watch for a man on the move. This watch is truly on the highest of frequencies. It’s bold, over-sized and basically a multi-function masterpiece. It comes in a durable silicone strap with accent metal hardware or a heavy-vertical brushed bracelet option. This Swiss-made timepiece commands attention on the wrist with a rich and weighty 52mm diameter case in premium-grade brushed stainless steel. The Swiss Legend Ultrasonic men’s watch features three subdials on it’s multi-layered watch face: day of the week, date and a dual-time 12-hour dial. The attention to detail is so impressive in this design it’ll put you on another wavelength. I think the coolest thing about this watch (besides the fact that it has the word ‘dragon’ in the collection name) is the case-within-a-case detail. The intricacy of the double case with screw accents on every other hour marker and the matching hardware accents on the band make for a great conversation piece (as do dragons). 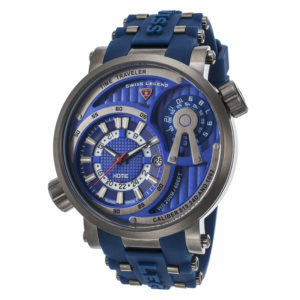 The patterned details on the dial, bezel and strap paired with the large case design take this watch to another extreme. You can quickly see that the Swiss Legend Dragonet men’s chronograph is a high-performance Swiss-made timepiece that features precision state-of-the-art craftsmanship and design. 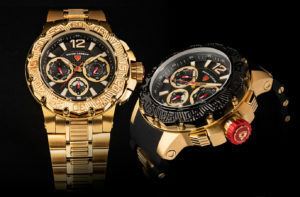 Check out more about the newest collections from Swiss Legend here and let us know what you think in the comments below! 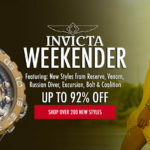 Free shipping and free returns are included on all domestic men’s and women’s watch purchases inside the continental United States at WorlofWatches.com.